Is there anything Messenger can't do? After recently announcing that the service has reached 1.2 billion monthly active users, it came as no surprise to see Facebook focus on Messenger during the start of this week’s annual F8 developer conference. Yesterday, the social media giant revealed the revamped version of its popular chat platform: Messenger 2.0. David Marcus, VP of Messaging Products, explained the update on stage at the McEnery Convention Center. 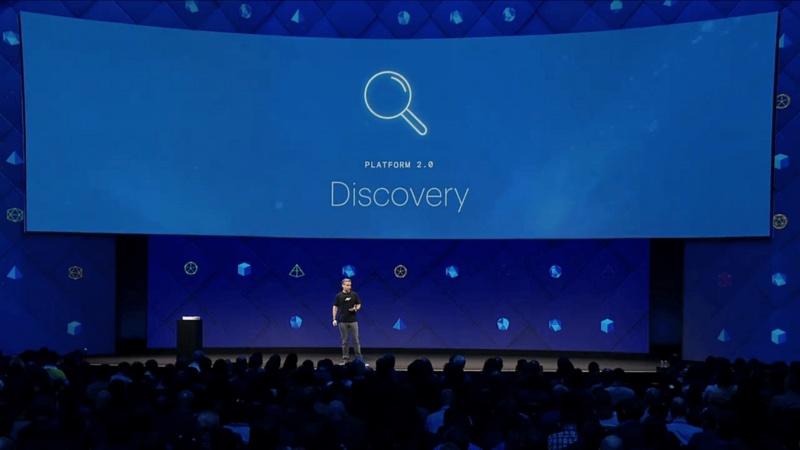 It includes more bot-related features, such as the new Discovery tab on the home screen. From here, users can discover the businesses they want to contact, or services they need to use. It’ll show featured and trending bots, along with a search bar. M, Facebook’s virtual assistant, has been updated so it now listens to your conversations and offers suggestions based on what you’re chatting about. So if you’re talking about having dinner, it will suggest placing an order with delivery.com. Another example is when asking a friend about money, which could see M suggest using Facebook’s payment services. The Messenger camera can now scan special QR codes at places like concerts and sports events to bring up a branded bot that provides more information. Facebook will be providing tools to businesses that allow them to generate these codes. Lastly, Messenger is getting a game tab on the home screen, allowing access to Game bots and Rich Gameplay (turn-by-turn games).